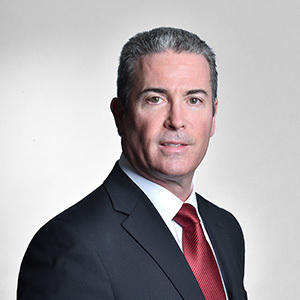 Stephen Roberts joined the McTague Law Firm as a Partner in January of 2010. Mr. Roberts practices in the Employment and Labour Law Department and represents employers only in the area of Workplace Safety and Insurance, Human Rights, Disability Management, Occupational Health and Safety, other employment and labour law matters. He represents employers regularly at WSIB and WSIAT Appeal Hearings, and before other administration tribunals. In addition, Mr. Roberts assists employers with WSIB audits, rate group classification issues and WSIB registrations along with transfer of costs and SIEF applications. He also advises employers regularly on their obligations under the Workplace Safety and Insurance Act, the Human Rights Code, and the Employment Standards Act, including advice on return to work, accommodation and severance of employment issues. Stephen is one of only twelve professionals in Ontario certified as a Specialist in Workplace Safety and Insurance Law by the Law Society of Ontario. October 13, 2017 Lancaster House Workplace Safety and Insurance Conference: Assessing Pain: Is the response of the WSIB and WSIAT adequate?